8 Reasons to Reread Your Employee Handbook - CUE, Inc.
It’s critical to keep up with local legislation. Last month at the CUE Conference in Indianapolis, Steve Wheeless, John Lovett and Roger King did a legal update panel where one big lesson shared was the need for employers to reread their employee handbooks. This blog is part of a series of blogs we’ll post over the next few weeks that captures highlights of some of the key sessions. What’s Confidential? The NRLB has ruled that employees have a right to talk about things like discipline, pay, and terms of employment. If you have a rule that restricts employees from discussing these things, it’s probably unlawful. Investigatory information may still be considered confidential; there hasn’t been a clear ruling here. If you’re confident about the upcoming changes in the NLRB, then you may consider having a rule against discussing HR investigations. If you want to be safer, you might state in your handbook that employees may be called to participate in HR investigations, which are generally confidential in nature, and that they’ll be instructed on a case by case basis as to whether or not participation is confidential. LGBT workplace protections will likely continue in the same direction we’ve seen for the last few years. It’s not likely that a Republican administration will change that. If you don’t have protections in your handbook covering sexual orientation, you may consider adding it and training managers on having an inclusive workplace. Your dress code may need to be reviewed in regard to union insignia. Companies cannot restrict the size of union insignia if employees want to wear it, and even questionable content, such as Cut the Crap, as long as the accompanying text makes them seem less offensive (e.g., WTF: Where’s the Fairness?). Do you have a social media policy? It may be time to review it. When someone brings you a really awful social media post from one of your employees, our expert’s advice is to take a deep breath and encourage supervisors to do the same. Social media posts may be considered concerted activity. There’s a lot of social media behavior that is protected by the NLRA, particularly if the privacy settings for the post are not set to public and there’s no impact on business. Consult legal counsel if you’re not sure, before taking any action. Are your conduct rules ambiguous? Rules such as prohibiting conduct that “impedes harmonious interactions” or making “negative or disparaging comments” about the abilities of other employees have been deemed unlawful by the NLRB because they could be construed to mean that they prohibit concerted activity. Even policies regarding foul language and profanities may not be lawful, depending on how they’re worded. However, it is likely that changes in the NLRB will take the Miscimarra dissent from the William Beaumont case and turn it into a majority opinion when the right employee handbook case comes before them. Miscimarra called for a test that balances any adverse effect the policy may have on NLRA protected activity against legitimate justifications a particular business may have for imposing the rule. Is your wellness program voluntary? The EEOC is currently reconstituting the rules on wellness programs, particularly regarding how much incentive companies can offer employees for participation and what medical information it can require from employees. Check the rules of your wellness program to make sure the language and incentives are clear and stress the voluntary nature of the program. Retaliation Guidelines were updated in 2016. They are a broader interpretation of what constitutes retaliatory behavior. 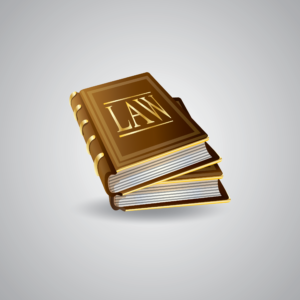 If you haven’t read the EEOC guidance, there’s no time like the present. Be sure to train your managers and supervisors on what actions can be construed as retaliatory and give them guidance on protected activities and how to react to them. Retaliation makes up the largest amount of EEOC complaints. Guidelines on avoiding harassment in the workplace were also recently updated. Strong and comprehensive harassment policies, regular training, and “trusted and accessible complaint procedures” are among the core principles stressed by the EEOC. In order to defend your company against a potential claim, you should be able to prove that you have a clear, comprehensive policy against harassment that is communicated to your employees and that your internal complaint process is easy to understand, communicated to employees, and provides multiple avenues for employees to lodge complaints. A quick update to the language of your handbook, along with training your supervisors on changes in labor laws and practices, could save you a lot of headaches and extra work in the future.